Q: I am in receipt of a defined benefit pension of about $100,000 per year which under the $1.6 million pension cap maximizes my ability to receive any additional tax-free pensions. But I do have additional funds in an industry super scheme held in the accumulation phase. A: Making a tax-concessional superannuation contribution is a sensible tax-planning strategy for you, says private client adviser and superannuation specialist Peter Crump of AMP Advice in Adelaide. It is also an interesting question that embraces a couple of important superannuation issues. 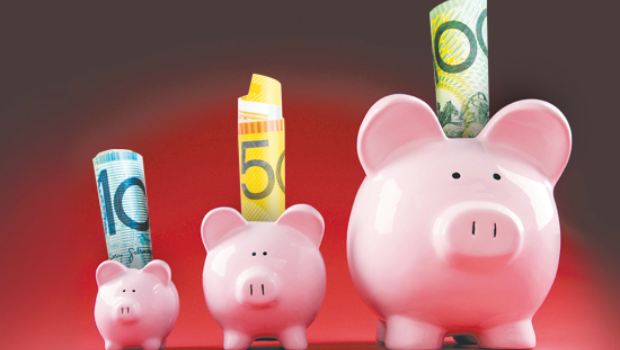 While having a total superannuation balance (TSB) of more than $1.6 million as a result of your defined benefit pension means that personal non-concessional (or after-tax) contributions are not able to be made, there is no restriction on your ability to make tax-concessional superannuation contributions while you are under 65. By making a personal tax-concessional contribution of $25,000 from your resources and then claiming this as a tax deduction, your taxable income will be reduced by $25,000. This includes the income from your super pension. The defined benefit pension of $100,000 a year you describe as untaxed is actually taxed at normal marginal tax rates, with a tax offset (formerly known as a rebate) of 10 per cent of the defined benefit pension income applied to the resulting tax payable. Without making a personal concessional contribution, the tax payable (including Medicare levy of 2 per cent) would be $16,497. This is calculated as the tax on $100,000 income of $26,497 less a rebate of $10,000 (being 10 per cent of $100,000). If a personal concessional contribution of $25,000 is made, your taxable income reduces to $75,000, on which normal taxation would be $17,422. After applying the $10,000 offset, the tax payable would reduce to $7,422. The tax-concessional contribution of $25,000 is taxed at 15 per cent inside your personal superannuation fund, resulting in tax of $3750. This means the total tax payable (allowing for the $25,000 personal concessional contribution) would be $11,172. The bottom line is an overall tax saving of $5325 as a result of having made the personal concessional contribution of $25,000. According to Crump, it is most important that the contribution you make is properly claimed as a tax deduction This requires a notice of intention to be lodged with your personal superannuation fund and have this acknowledged before the personal tax return including the concessional contribution is lodged. If that is not done properly, the contribution will be treated as a non-concessional contribution. If this were to be the case then since you have a TSB in excess of $1.6 million it would result in an excess non-concessional contribution assessment with appropriate tax penalties. A: Yes Andrea, the three-year bring-forward rule allowing three years’ worth of $100,000 annual non-concessional contributions (or the $300,000 you refer to) does have restrictions placed on it in certain circumstances, says superannuation strategist Darren Kingdon. While a broad entitlement to contribute $300,000 in one year is permitted if you are under 65, there are a few important caveats – which is another way of saying conditions or limitations are placed on this entitlement. For example, if you have already accumulated a total superannuation balance of $1.6 million, you are not allowed to make any non-concessional contributions. If your total superannuation balance has reached $1.4 million, the non-concessional amount is phased lower. It is $200,000 if your total balance is between $1.4 million and $1.5 million, and $100,000 if it is between $1.5 million and $1.6 million. Extra conditions to be aware of include not forgetting to make an adjustment to the available cap if you have previously triggered the bring-forward rule by contributing over the annual non-concessional cap in one of the previous three financial years. As far as the age condition is concerned, you need to be aged 64 or less on July 1 of the financial year for the full $300,000 to be allowed. If you turned 65 during the financial year (say in January this year) and you made the contribution, then you could only contribute $100,000. Further, you would need to satisfy a work test before making this. This test requires you to have worked for 40 hours over a consecutive 30-day period.